This is one of the best non-fiction books around. Hands down. And for those of you who profess to not enjoy non-fiction? Pshaw, try this one and change your mind you shall. I listened to the audiobook version, narrated by Cassandra Campbell, and listened to this with rapt attention to the 12 hours and 30 minutes within a day and a half. This story will not let you down. More than sixty years ago, Henrietta Lacks was a young married mother, and was suffering from cervical cancer. She and her husband made the regular journey to Johns Hopkins Hospital in Baltimore for treatment, and it soon became evident that it was an aggressive form of cancer and she soon died painfully. During one of her treatments prior to her death, her cells were taken to be included in trials to see if they would regrow on their own. Up until that point, the team attempting this was unsuccessful. They didn't have much hope with yet another grouping of cells. But Henrietta's cells did regrow. What became of those cells, known as "HeLa," have done so much for science that the list of benefits Henrietta's cells provided is innumerable. The only thing was that her cells were taken without her knowledge, or her family's knowledge. 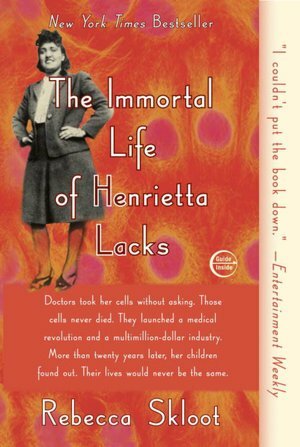 Those who did have her cells, these immortal cells that magically continued to regrow, became wealthy while Henrietta's family was never given a dime. This is a riveting and suspense-filled story of Rebecca Skloot's journey to bring the story of "HeLa" to the center stage, which ultimately showcases Henrietta and her family in the forefront as well. Documenting the progress of science because of the HeLa cells and weaving in this deeply personal family story, this non-fiction book will make you angry as you learn about the injustices brought upon one woman and her body, and more than likely will also leave you in awe of all the things that HeLa helped. The ultimate discussion regarding ethics is also addressed, and if a patient should be informed that their cells or other tissue are taken which may be given over for research and potential financial gain. The ethical questions and debates on whether or not you own your own body's waste and cells is fascinating and frightening at the same time. Arguments against informing a patient have brought up that it would bring science's progress to a standstill because patients will be bartering for the highest dollar for their tissues, and withholding it in order to achieve that. Of course, the debate the other way is that this is your body, your tissues. Shouldn't you have a right to negotiate where pieces of you go and how they are used? When you sign all of the medical release forms, do you read everything? Probably not. But if your cells or other items were taken from you and science benefited from it, wouldn't you want to also personally benefit from it? I think so. But in the Lacks' family, they never benefited, and in fact, didn't even have health insurance. Can you imagine the travesty of this? The family of the woman who suffered painfully and died from a horrible disease, unknowingly gave her body over to science which benefited greatly (and still benefits as the cells continue to regrow), but her own family rarely visits a doctor because they have no insurance to help them with the payments. Probably some of the more fascinating and scarier sections of the book actually comes at the end, when recent cases are reviewed in which tissue disposal is debated. I was stunned at what could happen even today, and began to wonder if, while HeLa has helped so much, if we've really advanced at all in the question of ethics. Of course, one side of me thinks that yes, of course we have, but then there are these cases that make the whole foundation of common sense and fairness buckle and tremble. This is an absolutely amazing story, written with passion and knowledge, and bringing this education to the average person who doesn't know a lick about science. It's easily readable and understandable, and it will generate much debate and discussion. Without question, I highly recommend this book for book clubs, and really for anyone who wants to give non-fiction a try. This will leave you speechless and convert you over to reading even more non-fiction. And why will you love this via audio? Cassandra Campbell is fast becoming one of my favorite narrators. She has the perfect voice to bring this story to life and, quite frankly, you just can't go wrong when she's leading the charge and voicing a story. Rebecca Skloot has a B.S. in biological sciences and an MFA in creative nonfiction. She is an award winning science writer whose work has appeared in The New York Times Magazine; O, The Oprah Magazine; Discover; and many other publications. She specializes in narrative science writing, and has explored a wide range of topics, including goldfish surgery, tissue ownership rights, race and medicine, food politics, and packs of wild dogs in Manhattan. 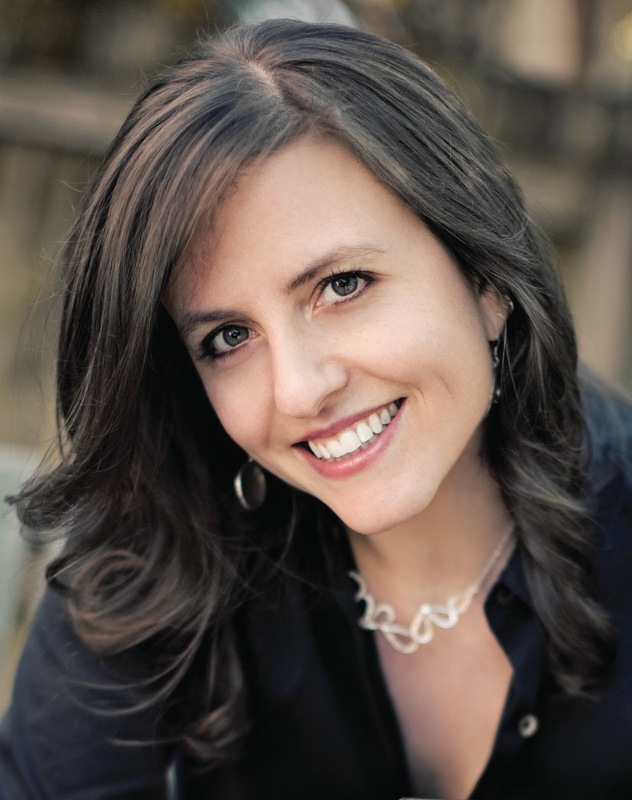 She has worked as a correspondent for WNYC's Radiolab and PBS' Nova ScienceNOW. She and her father, Floyd Skloot are co-editors of The Best American Science Writing 2011. The Immortal Life of Henrietta Lacks is Rebecca Skloot's debut book, and took more than a decade to research and write. It is being translated into 25 languages and will also be produced into an HBO movie. Rebecca Skloot currently lives in Chicago, but also heads to the hills of West Virginia to write, save stray animals, and knit. An avid knitter, she continues the family tradition of her mother, Betsy McCarthy, who is a professional knitter. The whole issue over our tissue being used and us having no rights horrified me! It's definitely ironic how the HeLa cells have been the foundation of so much research yet her family wasn't ever notified and doesn't even have health care. I agree, this was a fantastic book!! I thought this book was fascinating and thought provoking, but I didn't like the way the author harassed the family to get her story. I also felt like the author blamed all of the families problems on the HeLa cells and I doubt that's factual. Jenny - I learned a lot from this story as well, and I am really looking forward to more from this author! I have this book sitting patiently on my shelf. It's one that I am planning on reading in 2012. Thanks for the detailed review. This was one of my favorites of the year, and some of the aspects of this story made me so angry and confused. I also felt so sorry for the survivors left in Henrietta's family, and the lives they had to lead. The science behind her cells bordered on science fiction at times, and the advancements that were made are just stunning, but man, how that family suffered. Especially Lawrence and the oldest daughter. This was a tremendously well written and thoughtful review today, Natalie, and I am thankful to have read it and gotten to immerse myself in this story once again. Great job, and Happy New Year!! This is one of my favorite books this year. An amazing story and one I had never heard of before. I knew what HeLa cells were from my biology classes but not the story behind them. I listened to the audio and agree Cassandra Campbell's performance was fantastic. I've heard that this is one of the very best of audiobooks around. I hardly ever listen to audiobooks but this is one I want to have. Glad you enjoyed it so much. Beachreader - Yes, do pick it up and let me know what you think of it when you read it! Zibilee - I agree, I was pretty mortified by what Henrietta's family had to deal with and couldn't believe how things fared for them when Henrietta gave so much for science. I was so upset by that! Leslie - It will also make my favorites for the year and I'm the same way, too, in that I was familiar with the term "HeLa" but never knew the back story to it. And Cassandra is my favorite! leeswammes - I highly recommend this in audio form, it's exceptional! I think this might be one of those audios that would be interesting enough for a road trip that both me and my fiancee would find it interesting! Thanks for sharing! I've really been wanting to read this and am so glad to hear that it satisfies. Plus, I'm always looking for well-read audiobooks, so this review is doubly welcome! My husband has this book so I probably won't listen to it audio, but I am dying to get to it. I listened to this one earlier this year and I think it's the first audiobook I truly connected with and made me want to listen to more. The whole book was absolutely fascinating, and frightening, and touching, and memorable. I had no idea about the HBO movie. I listened tot his one on audio last summer and really enjoyed it. I own this but for some reason have not read it yet. Pre-blogging I used to read about 50% fiction and 50% non-fiction but my non-fiction has really dropped. I need to make it more even again, because I'm sure I'm missing out on loads of really great non-fiction like this. If you like Cassandra Campbell, get The School of Essential Ingredients. Just trust me on this one. Another one that she has done lately as well is You Know When the Men Are Gone. She is amazing. This book is amazing too. We read it for book club awhile back, and the entire group was freaking ENTHRALLED. We were all babbling, at the top of our voices, all at the same time. What a testament to Henrietta! This has got to be one of my all-time favorite audiobooks! It has the right combination of fascinating subject matter, wonderful writing, thought-provoking issues, and an outstanding reader.... it just doesn't get any better. Wish there were more that succeed on this level. Can't wait for the movie. Great review! I teach a research methods class, and I can't tell you how much I wish they'd make a documentary of this so I could show it to my classes! Thanks for the great review, Natalie. Oh this is a great review. I think I will nominate it for my work book club the next time we meet. I've been wanting to read this for some time now. BTW, I did see the author speak briefly at the Texas Book Festival in 2010. I hadn't heard of the book before then and it sounded interesting. This book has been popping up everywhere since so it must mean that I'm destined to read it. I just read this one recently. I don't think I loved it the way that so many others did, but it certainly was food for thought. I don't think I was as bothered by the idea of the medical ethics as others were, but I was so disturbed by the poverty. This is on my book club's list for 2012. You have me intrigued about the audiobook. Love your blog's new look! I really enjoyed this books - one of my favourites for 2011. Wow! Excellent review! I have been interested in reading this book for a long time. I think it delves into many ethical matters concerning science and medicine, giving us a lot to think about.